What does ‘front loading’ / ’front end loading’ an application mean? ‘Front end loading’ or ‘front loading’ is a term used by Migration Agents which means applicants have provided ALL the documentation needed to meet the legal requirements for the Partner Visa application at the time of submission. This means that when a Case Officer picks up a ‘front loaded’ / ‘front end loaded’ file, they can make a quicker decision because the application is complete versus applications which are not complete or not ‘front loaded’ / ‘front end loaded’..
Will it make my processing time faster? Since you’ve provided the Case Officer a ‘front loaded’ / ‘front end loaded’ application, it will certainly help make the process faster as they won’t have to wait for additional evidence from you to make their decision. This is why, on a previous video, our Principal Migration Agent, Emma, stressed the importance of lodging a COMPLETE application. How do I know what to add to make it ‘front loaded’ / ‘front end loaded’? The best way to go about this is to seek advice from a Registered Migration Agent who is experienced in handling Partner Visa matters on what documentation you need. If I use an agent, will they make sure my application is ‘front loaded’ / ‘front end loaded’? If you are going to use a Registered Migration Agent, you need to make sure they are MARA registered. A MARA Registered Migration Agent will ensure your application is front loaded/front end loaded before lodging it. Do you front load/front end load all your applications at Freedom Migration? Definitely! 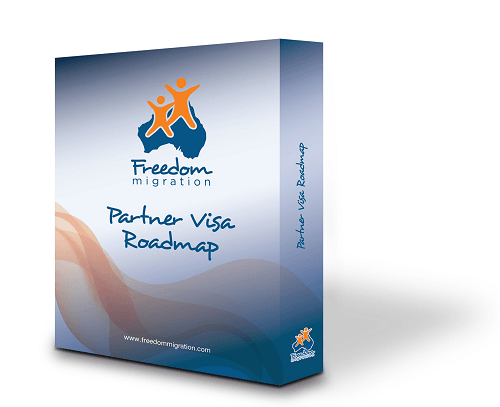 Here at Freedom Migration, we take care of our couples and ensure all applications are front loaded/front end loaded where beneficial so your application can be processed as quickly as possible. If you have any questions about your Partner Visa application, you can leave a comment below or contact us right now, book a Visa Planning Session and have a chat with one of our friendly team. All our agents are experienced Registered Migration Agents. We’d love to help and remember, it’s never too early or late to get good advice. I was born in Changsha (China), lived in Wuhan (China), and moved to Singapore when I was 8. So I speak Mandarin and Singlish. I might also speak a bit of Cat. I studied law and now specialise in migration law.